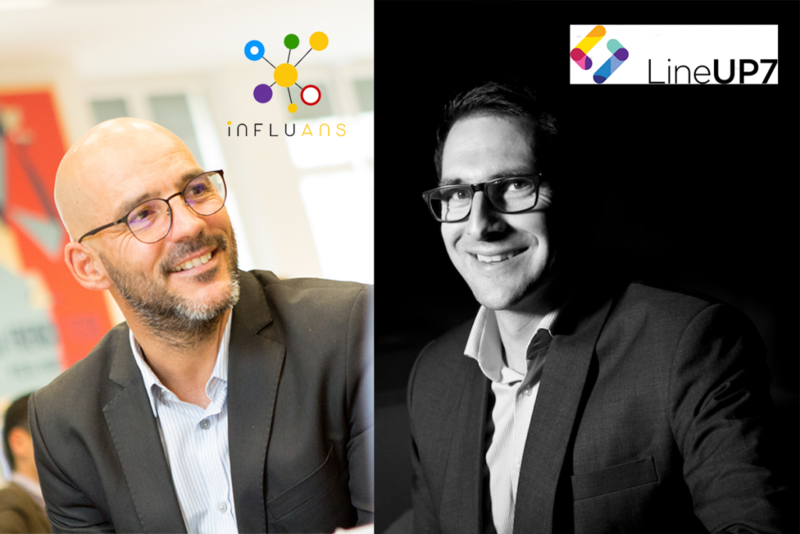 We interviewed Vincent Pineau, co-founder of Influans, and Olivier Guyomard, co-founder of LineUP7, about their collaboration that started when both startups were residents at the Partech Shaker. 1. First, can you please each quickly describe your company’s mission and kind of clients? 2. Who first got in touch with the other? Who made the first step? What was the initial objective? 3. Olivier, can you please explain how integrating Influans service promotes/supports LineUP7’s strategy? 4. Vincent, what kind of value does LineUP7 bring in terms of business development and maybe in terms of tech as well? "Influans and LineUP7 share the same conviction with regards to the direction of marketing: satisfying the need for better performance and, even more importantly, addressing the demand of the consumer for a more relevant engagement with the brands. The switch from mass marketing to ultra-personalization will happen. It is important to note that ultra-personalization is very demanding from a technology standpoint and it can only work through to the incredible evolution of the technologies over the past… 5, maybe 10 years. Coming back to our cooperation, we exposed our platform to LineUP7 early in the development cycle to gather feedback and continue to do so regularly. This is always very insightful and today we are confident that we have the technology part well under control. ???? Having said that, it is critical to be able to help companies manage changes in marketing for the shift to happen. This is, in my perspective THE area where LineUP7’s expertise is critical." 5. What did the collaboration bring that you didn’t expect at first? Olivier Guyomard, LineUP7: “The first pilots showed results that surpassed our hopes and the uplift generated on sales was beyond those of our client. Influans offer is a key component in the ecosystem we implemented." Thank you, Olivier and Vincent, for your time! We hope that you’ll continue to reap the fruits of this beneficial collaboration! - about Influans, check their wbesite or follow them on Twitter.